Other than getting to #humblebrag to all your friends that Dr. Dre is your colleague at the top tech company in the world, working for Apple has some serious benefits in the form of cash money. 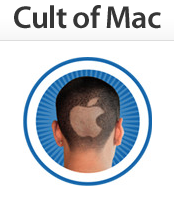 Apple makes sure to compensate most of its corporate employees enough to at least afford a Tesla. But if you’ve ever been curious how much each position at Apple earns a year, the folks at BusinessVibes created the graph based on data from GlassDoor that ranks over 20 jobs at Apple based on pay from the lowly Mac Genius to Jony Ive’s industrial designers. 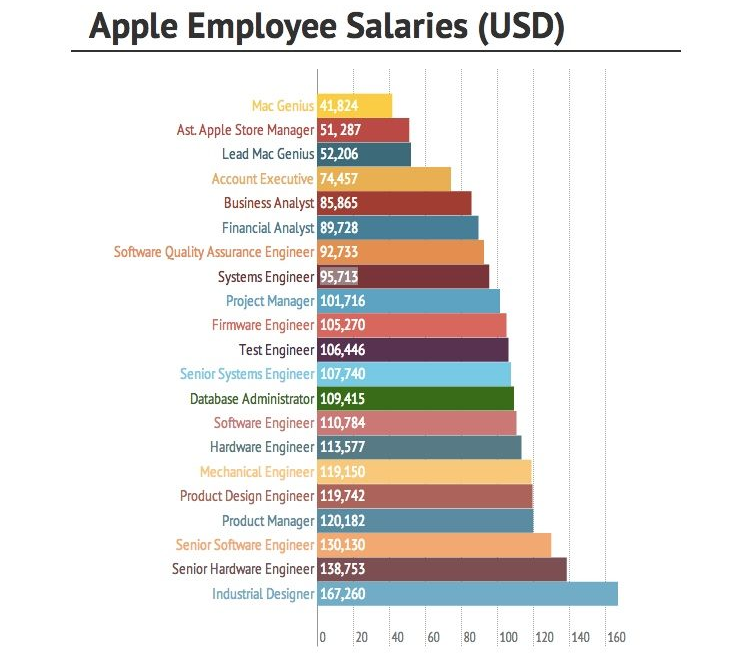 The good news for coders is even software quality assurance engineers start around $92k a year, but of course Apple places the most value on Industrial Engineers who bring home nearly $30k more a year than the 2nd highest paid employees – hardware engineers.